We love our kid customers! We host workshops for kids ages 6 and up. Click here to sign up for a one hour Kids Workshop on Saturdays! Workshop not fit your schedule?! That’s ok! Come and pop in the shop ANYTIME and we will assist you and your kids with designing and creating their project. Most fees are only $5 per piece and that includes your string and we will attach your clasps for you! 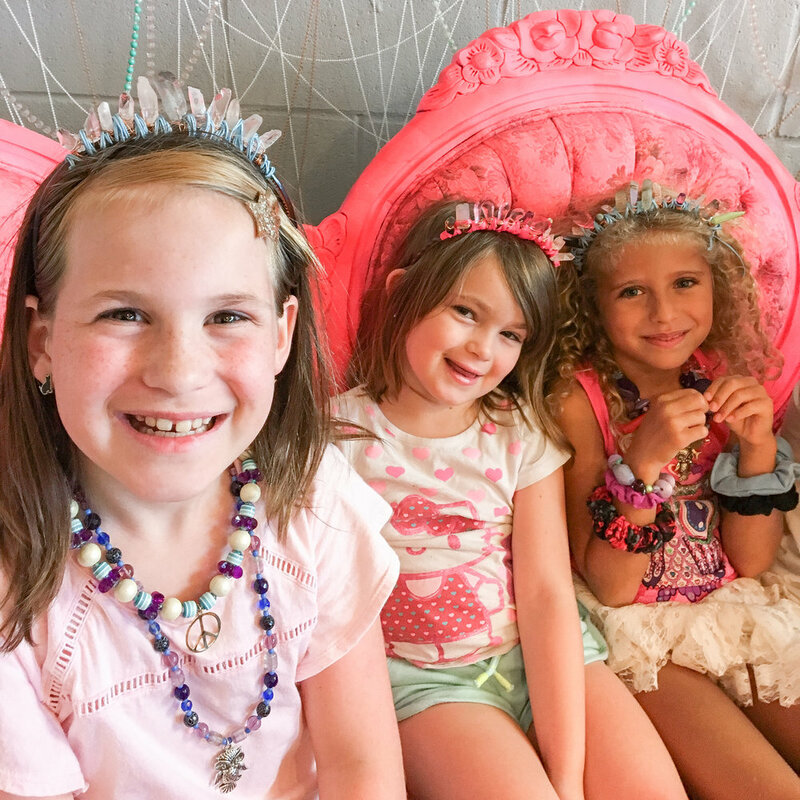 Interested in a Birthday party for your child? Please Email us for more details and times available! WOOOHOOO!! !